The Israeli occupation forces (IOF) over the past two days have arrested seven members of the Islamic Bloc, Hamas’s student wing, who study in different West Bank universities. The IOF in al-Khalil arrested the students Izz Abu Husein and Mu’tasem al-Natsha as well as the student at Palestine Polytechnic University Suhaib al-Qawasmi. The arrest campaigns included the two students from al-Najah National University Abdulrahman Shehada and Khalid Kou’. The IOF also arrested a Birzeit University student named Mus’ab Mafarja after raiding his house in Beit Liqya village in Ramallah a few days following the arrest of the Islamic Bloc coordinator at the same university Osaid al-Qaddoumi. 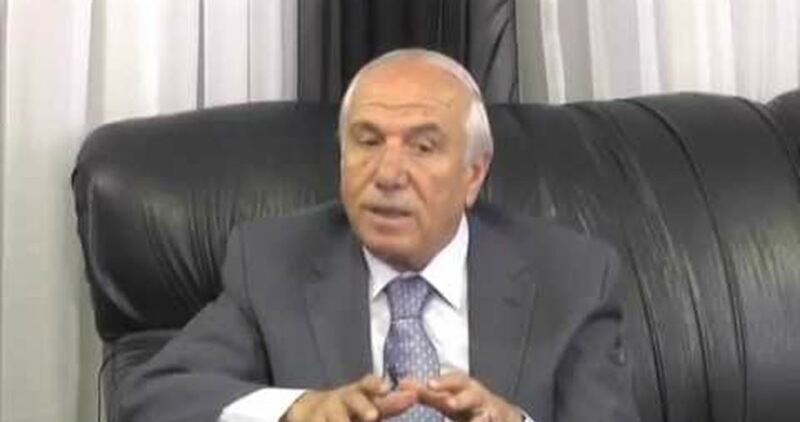 The Israeli Occupation Forces (IOF) arrested Tuesday evening former governor of al-Khalil city Abdel Halim Ja’bari after being summoned for investigation. 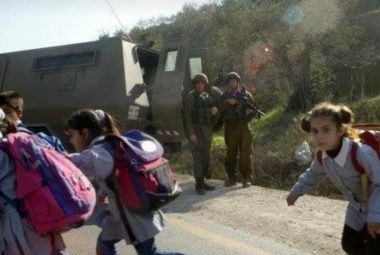 The Israeli occupation authorities (IOA) on Wednesday handed Burin village council in Nablus orders to confiscate Palestinian lands in the village in favor of the construction of a new settlement road. 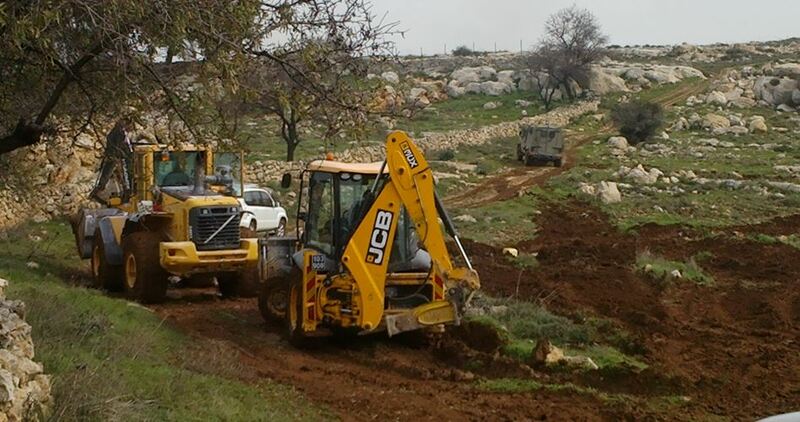 Head of Burin village council Yahya Qadous told the PIC reporter that the orders involve the confiscation of 24 dunums of land to build a road connecting Brakha settlement, built by force on Palestinian lands south of Nablus, with an Israeli military camp in al-Marba’a area. Qadous said that the IOA claimed that the road will be established for security purposes and that opposition is not allowed but affected citizens can apply for compensation. He stressed that this project is so dangerous not only because of the areas confiscated but also because it would help tighten the Israeli grip on the village from four sides. The Coalition called on the international community to shoulder its responsibilities towards Syrian civilians as it called on the United Nations and the UN Security Council to overcome Russia’s continued disabling of the Council. It also called for urgent measures and the exertion of real pressure to stop the ongoing genocide in eastern Ghouta. 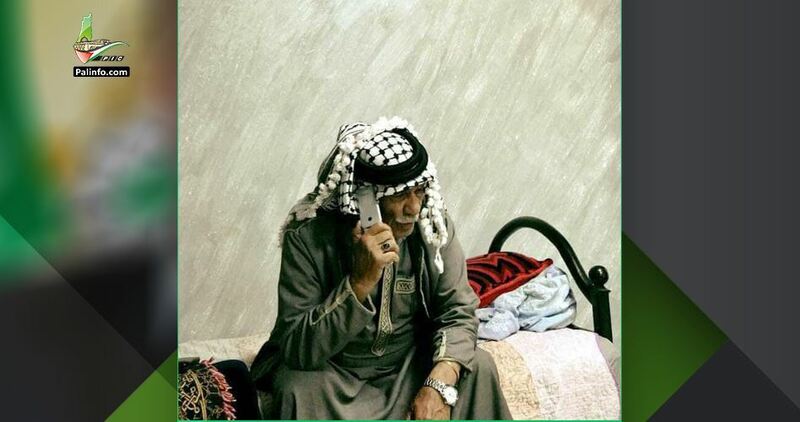 Palestinian citizen Ali al-Wahsh, aged 92, was kidnapped by the Israeli occupation forces from his family home in Bethlehem’s southern town of al-Khader, in the West Bank. Al-Wahsh’s son, Ahmed, told a PIC news correspondent that an Israeli military patrol broke into their home in al-Balou’ area, in al-Khader, at 05:00 a.m. and ransacked the building before they forced the inhabitants out. The son added that his father was kidnapped by the occupation forces during the home raid and dragged to the Kiryat Arbaa detention center. The occupation soldiers seized al-Wahsh’s personal gun which he uses during his work and following the consent of the Palestinian Authority. 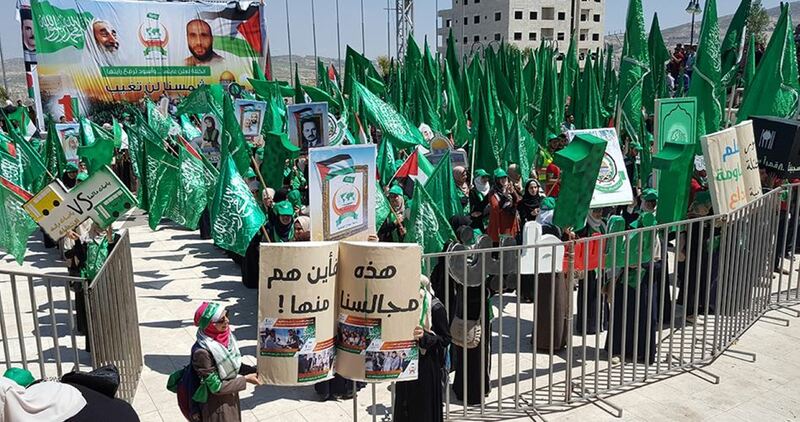 Al-Wahsh is known as a consensus figure throughout the occupied West Bank. He is often consulted to work out local issues, particularly family disagreements. Al-Whash has been diagnosed with prostate disease and has 18 sons and over 100 grandsons. A poll by the Jerusalem Centre for Media and Communication has revealed that most Palestinians do not believe that the Palestine Liberation Organisation will withdraw its recognition of Israel following the US acceptance of Jerusalem as the capital of the Zionist state, Shehab.ps reported on Tuesday. According to the poll, 56 per cent of the Palestinians believe that the PLO would not commit to its threat to withdraw such recognition should the US and Israeli measures on Jerusalem go ahead, despite the pledges made by senior PLO officials to do so. Only 38 per cent of the respondents believe that the PLO might take such a decision. 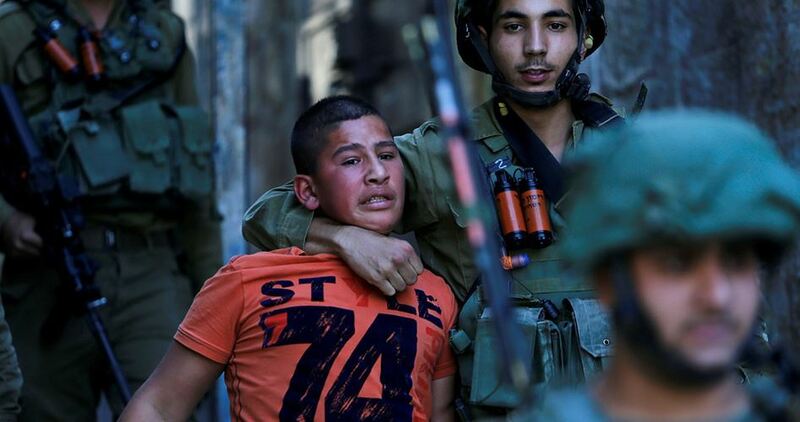 Around 1,200 people from the occupied West Bank and Gaza Strip took part in the poll. The centre organised the poll after the Palestinian Central Council, the second largest of the PLO’s decision-making bodies, decided to ask the Executive Committee to suspend its recognition of Israel until it accepts a State of Palestine on the 1967 borders, cancels the plan to annex East Jerusalem and stops settlement development. The PLO recognised Israel in 1993 and has approved numerous accords signed by the Palestinian Authority and the Israeli government. Some 1,500 settlers stormed the Joseph’s Tomb, east of the occupied city of Nablus, early this morning, under Israeli army protection. A Quds Press correspondent said occupation forces raided the area and closed its perimeter, preventing the movement of citizens to protect the settlers who stormed Joseph’s Tomb. Joseph’s Tomb was a flashpoint in Nablus with scores of Palestinians killed and wounded during clashes in the area in 1995. In 1996 nine Israeli soldiers were killed and after another was targeted in 2000 the army left the area. Jews in Israel claim the site contains the tomb of a rabbi, however the site is part of an old mosque where Muslim scholar Yousef Dweekat was buried. Thirteen-year-old Inaam Al-Attar arrived to the Palestine Medical Centre in Ramallah with her uncle, who she is receiving the transplant from, after her parents were denied permission to travel with her from the besieged coastal enclave.